It wasn’t a great escape. It was a controlled release. Yesterday, the fencing was removed and free range of the grounds has been granted, along with the heightened risk of exposure to predators that goes with it. Boy did the chicks have fun. They romped to and fro through the woods, eventually stumbling on the composting piles of manure. 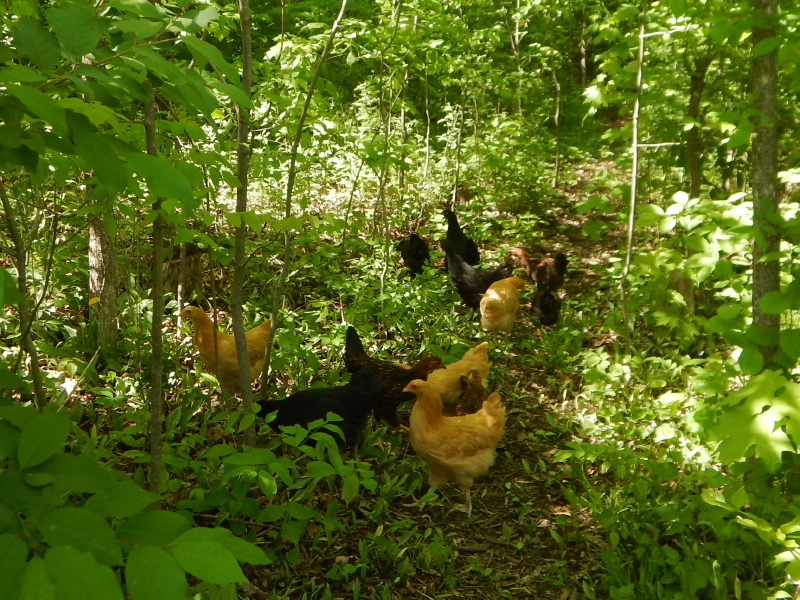 Their next move was back into the thick growth on the edge of the woods, but at least in the right direction, toward the coop. 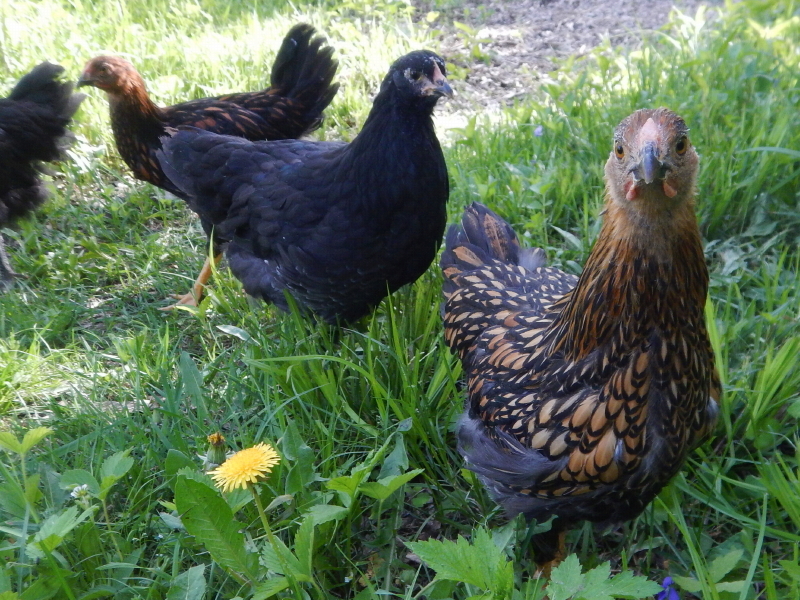 Mildly anxious about their first day out, I decided to go sit beside the coop and hope for their return. In no time, they emerged from the underbrush with a flurry to reconnoiter around the comfort of their home. I sat with them and enjoyed the bliss of the moment, as they happily explored the areas just beyond the border of the old fencing. At dusk, Cyndie found them all in the coop, although reporting the good news with frustration that they still are showing no interest in roosting. I’m hoping that natural chicken instinct will get them up there eventually. Last year’s young coop residents needed no encouragement to seek the highest possible perch. We have no idea why these twelve are behaving differently. 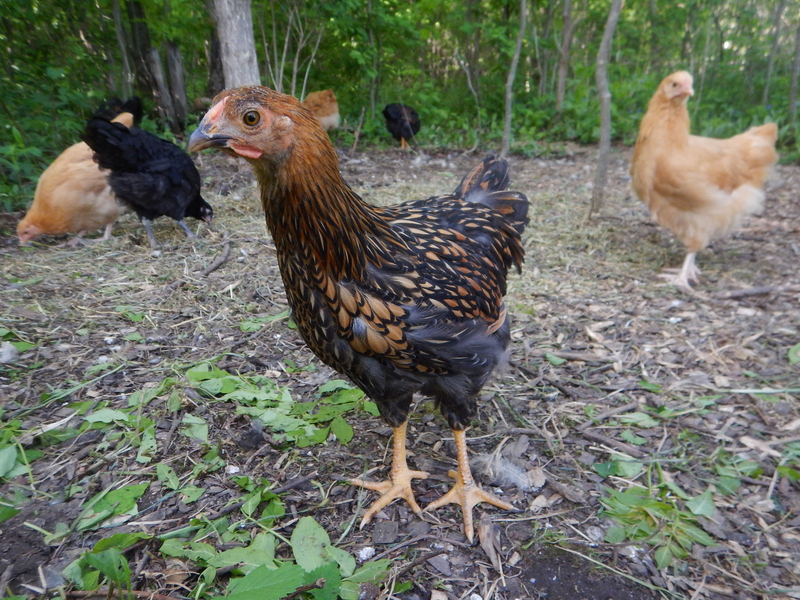 Looks like the Golden Laced Wyandottes like having their picture taken. I had one flock that slept in their nesting boxes until I moved them to the roost while they were asleep, and then they started doing it themselves. It was weird. Chickens can be strange like that, can’t they? We are finally seeing more interest in getting the highest perch possible, including the narrow ledge above the window, where they can be even higher than the chickens on the roost.